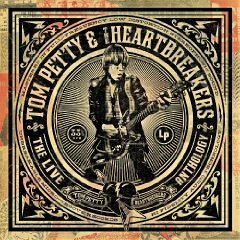 This remarkable four-CD live set from the legendary Tom Petty virtually covers his entire career. Consistently tight performances dot the collection in all the right places and helps to make this anthology a compelling listen from beginning to end. With some tracks dating back to 1980 and others as recent as 2007, essential Petty tracks like I Won’t Back Down, Free Fallin’, American Girl, Refugee and Learning To Fly are included along with a number of excellent cover-song choices. Hearing Petty take on the Grateful Dead’s Friend Of The Devil, Booker T’s Green Onions and Willie Dixon’s I Just Want To Make Love To You, exposes a side of the musician that we might not have otherwise known. With 48 songs included in this value-priced set, there is no good reason not to explore this excellent collection of songs from one of America’s best songwriters.